April 13, 2015: Released a music video of our song Mother's Love. April 27, 2014: Released a music video of our song This is True. September 14, 2013: Released a music video of our song Industrial Insects on YouTube. August 19, 2013: Release a music video of our song Swamp Funk on YouTube. May 27, 2013: Released music video of Cinderella on YouTube. This song features footage of Molly and Kara walking around Seaside Heights before it was so tragically destroyed by Hurricane Sandy. January 7, 2012: Calling All Guitars did this cool remix and new video of our song The Way. Check it out by clicking here. February 29, 2012: We post a YouTube music video of The Way. February 28, 2012: Kara is interviewed by Diva JC about her song Don't Tell Me that was included on Women In Jazz South Florida, Inc.'s Compilation CD Volume II. You can hear the blogcast by clicking here. January 22, 2012: Check out our music video of Led Zeppelin's The Immigrant Song. January 14, 2012: We were honored to be included on a women-in-jazz collection of music. Check it out at wijsf.org. January 8, 2012: We posted video of Dance Riot to YouTube. December 24, 2011: We posted video of Don't Let Me Down to YouTube. 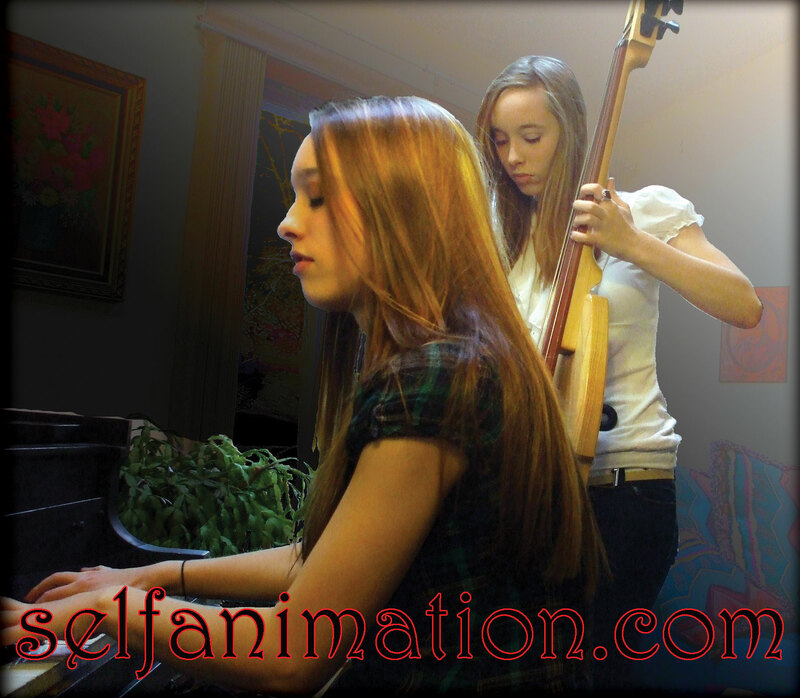 December 1, 2011: We finished an arrangement of Kara's new song, Don't Let Me Down, and have begun recording. January 19, 2011: we are mentioned in the blog for the movie Inventory. November 11, 2010: We were honored to learn that our song Dance in the Fire will be in the soundtrack of a forthcoming feature film titled Inventory by Castparty Productions (Justin Fielding director). Check out the soundtrack listing at http://www.imdb.com/title/tt1787729/soundtrack. August 1, 2010: We posted our first music video for our CD on YouTube. It was for the song Dance in the Fire. June 4, 2010: Sad Star was #1 on SoundClick's Alternative charts (out of 162,591 songs). June 2, 2010: The Way was #1 on SoundClick's Alternative charts (out of 162,884 songs). May 19, 2010: The Upper Room with Joe Kelley and Gi Dussault on WVOF 88.5 FM in Fairfield, CT aired our song, All Along. The Upper Room is the first radio show ever to have been featured on Rock-N-Roll-Hall-of-Famer PRINCE'S official web site. April 23, 2010: KKFI FM in Kansas City begins airing our CD. April 8, 2010: Featured on WestSideWill's Unsigned Artist Showcase. April 2, 2010: WRSU-FM Rutgers Radio adds our CD to their rotation. March 31, 2010: Blogcritics Review. March 19, 2010: News story in New Jersey's The Daily Record. We got the 2nd teaser on the front page, just under Alicia Keys and a story inside. March 16, 2010: More air play. WMCO 90.7 FM in New Concord, OH and WCVE 88.9 FM in Richmond, VA began air play of Self Animation. March 6 & 7, 2010: WFDU plays Sad Star and Dance in the Fire on the air. Thanks to the visionary host, Jim Rieken, of the Defective Jukebox and The Big Al shows, WFDU 89.1 FM becomes the first radio station in the world to air our music. The Defective Jukebox is a really awesome show BTW and you can listen to recent shows at the web site. Check it out. March 2, 2010: Self Animation releases their CD. February 15, 2010: Our first CD goes to Manufacturing. Well, it's been a long haul, but we finally finished recording, mixing, mastering, etc. The final proofs looked good, so we've started the manufacture of our first CD. We're on schedule for a March 1 release. January 15, 2010: Molly and Kara perform Famous Last Words at RHS Talent Show.